Create an instantly customized Avengers Assemble headboard wall decal in just seconds! 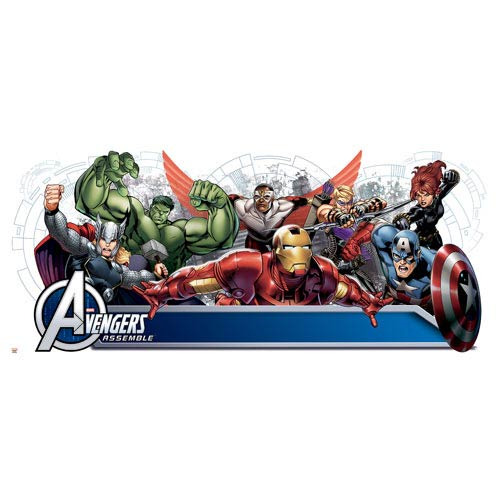 These removable and repositionable wall decals include an awesome, action-packed design of Marvel's Avengers, as well as a full set of alphabet letters. Apply the giant decal wherever you like, then use the letters to spell out your child's name. Every sticker is removable and repositionable, so there's no need to worry about getting your design perfect on the first try. Contains a total of 108 decals and measures 35-inches wide x 16 3/4-inches tall. Ages 5 and up.